Materials which are made by combining two or more materials differing in composition or form. Eco-friendly green composites, which may replace conventional manmade fibre-reinforced plastics, have been increasingly considered as promising materials due to their many advantages, like using a natural resource, environmental friendliness, sustainability, lightness, carbon dioxide reduction in nature, etc. Their unique balance of properties would open up new market development opportunities for bio-composites in the twenty-first–century’s, green materials world. Composites are widely used in our day to day life due to their low weight and ability to be tailored for specific end use. They have gained a considerable ground in the high-performance applications, such as aerospace and automobile industry. However, the use of polymers that can be recycled when used with carbon and other niche fibres renders the composite non-recyclable. This has become a major issue as the landfills are filling up at a faster pace along with the need for going green due to global warming. To tackle these issues research in recent years has been focused on substituting olefin (polypropylene, polyethylene, etc) based composites with biodegradable ones. Green composites are a specific class of biocomposites, where a bio-based polymer matrix is reinforced by natural fibres, and they represent an emerging area in polymer science. In order to achieve the goal of recyclable composites, natural fibres are surfaced as the fibres of choice for reinforcing composites. Bio-composites and green composites are being developed to address issues such as resource saving, lightweight, low cost, carbon neutral, and eco-friendly through stages of a product’s lifecycle. Fast growing population, eco and health awareness create large space for future expansion of natural fibres. This can help to stop forests depletion, the flood of non-biodegradable wastes, environmental degradation, and also raise the living standards of rural areas in many parts of the globe. Green composites can supplement and eventually replace petroleum-based composite materials in many applications, offering new agricultural, environmental, manufacturing, and consumer benefits. This article is a bird’s-eye view of the current status of green composites and their impact on society as a whole. Composites are biphase or multiphase materials which are made by combining two or more materials differing in composition or form. Due to their low weight and ability to be tailored for specific end use they have gained a considerable ground in high-performance applications. Biopolymers or synthetic polymers reinforced with natural fibres (Sisal, Jute, Silk, Coir, Bamboo, Arecanut and Pundi) frequently termed as “bio-composites” can be viable alternatives to glass fibre reinforced composites. “Green Composite” is a completely bio-based composite; both matrix and fibre are completely biodegradable and renewable. The components of a composite material are depicted in Figure 1. Green composites are completely bio-based composites in which both matrix and fibre are completely biodegradable and renewable. Natural, vegetable fibres can be applied to reinforce the natural polymers such as starch, lignin, hemicellulose and India-rubber which results in 100% biodegradable material. Essentials for green composites are high strength natural fibres, resins with good bio-degradability and optimum fibre/resin interfacial bonding. Composite properties depend on the properties of the constituents, i.e. the fibres and resins used. The strength and stiffness of the composites are directly a function of the reinforcing fibre properties which carry most of the load, and their volume content. The resin helps to maintain the relative position of the fibres within the composite and, more importantly, transfers the load from broken fibres to the intact fibres. As a result, fibre/resin interfacial properties are also important and have a significant effect on composite properties, including toughness and transverse fracture stress. In summary, to fabricate high strength composites all three factors, namely, fibre properties, resin properties as well as the fibre/resin interface characteristics are critical. In biocomposites, the bio-fibres serve as a reinforcement by enhancing the strength and stiffness of the resulting composite structures. Sources, origin, nature, as well as the physical and chemical composition of different natural fibres, have been reviewed. The conventional fibres like glass, carbon, aramid, etc., can be produced with a definite range of properties, whereas the characteristic properties of natural fibres vary considerably. This depends on whether the fibres are taken from plant stem or leaves, the quality of the plants’ locations, the age of the plant and the preconditioning. Depending on their origin, the natural fibres may be grouped into leaf, bast, seed, and fruit origin. Fruit: Coconut husk, i.e., coir. The natural fibres are lignocellulosic in nature. Lignocellulosic materials are the most abundant renewable biomaterial of photosynthesis on earth. In terms of mass units, the net primary production per year is estimated to be 2X1011 tons as compared to synthetic polymers by 1.5X108 tons. Lignocellulosic materials are widely distributed in the biosphere in the form of trees (wood), plants and crops. Cellulose, in its various forms, constitutes approximately half of all polymer utilized in the industry worldwide. Figure 2 gives the classification of natural fibres which are used as reinforcing materials in composites. The properties of some of the natural fibres are listed in Table 1. Photographs of some natural fibres are shown in Figure 3. Figure 2 Schematic representation of reinforcing natural/bio fibres classification. The rising oil prices helped to stimulate early interest in biodegradables back in the 1970s and concerns over the dwindling availability of landfill sites are reviving interests in biodegradable materials today. Biodegradable polymers have offered scientists a possible solution to waste-disposal problems associated with traditional petroleum-derived plastics. First introduced in the 1980s, biodegradable plastics and polymers as used in films, moulded articles, sheets, etc., comprise a market that is still in its infancy. Biodegradation is defined as an event which takes place through the action of enzymes and/or chemical decomposition associated with living organisms (bacteria, fungi, etc.) and their secretion products. It is also necessary to consider abiotic reactions like photodegradation, oxidation and hydrolysis which may also alter the polymer before, during or instead of biodegradation because of environmental factors. When a biodegradable material (neat polymer, blended product, or composite) is obtained completely from renewable resources we may call it a green polymeric material. Biopolymers from renewable resources have attracted much attention in recent years. Renewable sources of polymeric materials offer an answer to maintaining sustainable development of economically and ecologically attractive technology. The innovations in the development of materials from biopolymers, the preservation of fossil-based raw material, complete biological degradability, the reduction in the volume of garbage and compostability in the natural cycle, protection of the climate through the reduction of carbon dioxide released, as well as the application possibilities of agricultural resources for the production of bio/green materials are some of the reasons why such materials have attracted the public interest. Figure 4 explains the classification of biodegradable polymers into four families. Except for the fourth family, which is of fossil origin, most polymers (family 1–3) are obtained from renewable resources (biomass). The first family is agro-polymers (e.g. polysaccharides) obtained from biomass by fractionation. The second and third families are polyesters, obtained, respectively by fermentation from biomass or from genetically modified plants (e.g. PHA, polyhydroxyalkanoate) and by synthesis from monomers obtained from biomass (e.g. PLA, polylactic acid).The fourth family polyesters, totally synthesized by the petrochemical process (e.g. PCL, polycaprolactone; PEA, polyesteramide; aliphatic or aromatic copolyesters). A large number of these biodegradable polymers (biopolymers) are commercially available. They show a large range of properties and they can compete with non-biodegradable polymers in different industrial fields (e.g. packaging). This is the simplest method in which chopped strand mats are woven roving and other fabrics made from the fibres are placed on the mould and impregnated with resin by painting and rolling layers are built up until desired thickness is achieved. Curing may be done at room temperature or elevated temperature with accelerators and catalyst. It is a versatile technique where continuous tow or roving is first passed through a resin impregnated bath and then with the traverse mechanism wound on to a rotating or stationary mandrel of appropriate design. The winding is discontinued after the desired thickness is achieved and the product may be cured at room temperature or elevated temperature. Large cylindrical pipes, spherical vessels, bottles for chemical storage, hallow or generally circular or oval sectioned components are produced by this method. In this method, continuous sections of polymer matrix composites with fibre oriented mainly in axial directions are produced. Continuous fibre tows come from various creels, mats or biaxial fabrics may be added to these to provide some transverse orientation. These are passed through a resin bath containing a catalyst.A fter this resin impregnated fibres pass through a series of wipers to remove any excess of the polymer before entering the heated die. The stripped excess resin is re-circulated to the resin bath. The heated die has the shape of the finished component to be produced. The resin is cured in the die and composite is pulled out at the end. The part is cut by a flying saw to fixed length. Rods, infrared beams, hollow pipes, L-shaped cross-sections, rectangular and circular shaped products can be produced. Widely used for thermoplastics composites and to a lesser extent for thermoset plastics Process is limited to particulate or short fibre reinforcement. Small polymer pallets are fed from a hopper into a moulding machine into a reciprocating screw, which carries them through a heated barrel. Shear generated by the flights of the screws melts the polymer as it is conveyed towards the front of the barrel and mixes the melt. The melt is then forced into a relatively cold, closed mould cavity by means of high pressure applied hydraulically, traditionally through the plunger. In the mould, the material flows through channels called “runners” and passes into a part cavity through a gate. Water or another fluid circulating through a cooling system in the mould extracts heat. After parts have cooled and solidified enough to be handled the mould is opened and the parts are removed. In this method, the liquid resin is injected into a closed mould containing pre-placed fibre reinforcement. After the resin impregnates the reinforcement it cases to form a solid composite product. The resin comprises of polymer or prepolymer mixed with a curing agent and other possible substances such as initiators and catalyst. This method is used to convert SMC and DMC to finished products part of complex geometry like road, wheels, bumpers, and leaf springs electrical components are produced in a short period of time. In this process heat and pressure is applied to the plastic resin in the matched die. The resin melts due to the heat and then the pressure causes it to form into the desired shape. Polymer molecules bind together by cross-linking. Compression moulding is a commonly used technique to produce biocomposites Figure 5 shows the schematic representation of the compression moulding process which is commonly used for processing of biocomposites. Green-composite is completely a bio-based composite, both matrix and fibre are completely biodegradable and are from the renewable base. Green composites are environmentally friendly materials in various stages of production, Processing and waste disposal. Commonly known processing methods of production can be utilized effectively to produce green composites. The better elasticity of polymer composites reinforced with natural fibres, especially when modified with crushed fibres, embroidered and 3-D woven fibres. They display high acoustic insulation and absorb vibration. Low energy consumption when processed, due to its low-temperature requirements and flexibility. The price of polymer composites reinforced with natural fibre is 2-3 times lower than polymers reinforced with glass fibre. When burnt, the polymer composites containing natural fibres produce less CO2, CO and toxic gases. Substitution for solid wood by plastics reinforced with wood or other natural polymers can help to reduce the deforestation in many areas and offer mechanical advantages over the traditional wooden products. Non-abrasive when processed on conventional machinery. Greenhouse Effect is reduced by the utilization of natural fibre based products since production is based on the cycle of green Carbon. Providing rural population with a new source of income in economically deprived areas. For centuries natural fibres have been made into baskets, clothing, sacks, ropes, and rugs. Now plant-derived natural fibres of kenaf, hemp, flax, jute, and sisal are making their way into components of cars. In the last decade, natural-fibre composites have been embraced by European car makers for door panels, seat backs, headliners, package trays, dashboards, and trunk liners. Now the trend has reached North America. Natural fibres have benefited from the perception that they are “green” or eco-friendly. What is proving more important is their ability to provide stiffness enhancement and sound damping at lower cost and density than man-made fibres. Green composites are applied to various components with moderate and high strength such as cars, mobile phones, etc. Using biocomposites in automotive parts results in various benefits like weight reduction, less fuel consumption, less greenhouse gas emission, cost reduction, safety drive etc. Figure 6 shows various components of biocomposites used in the automotive industry. One of the most important parts of maintaining the exterior of a home involves maintaining its roof. In the past, there wasn’t as vast a number of roofing options as there are today. 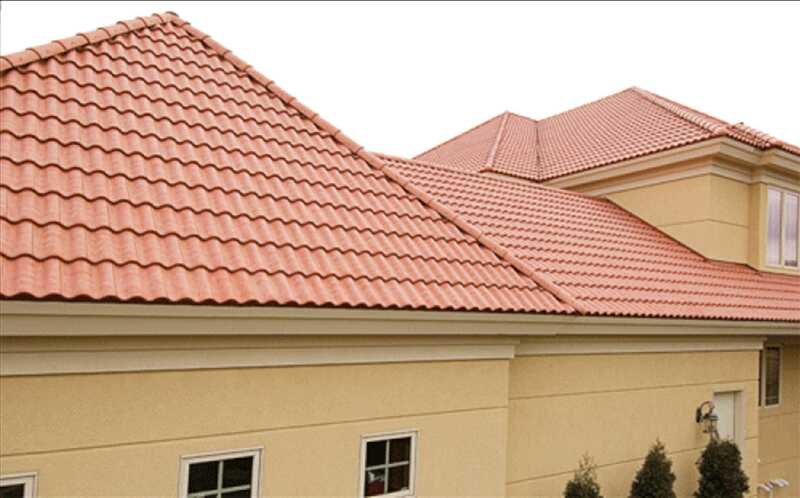 Composite roofing is a great option for individuals who want the authentic tile or slate look without the hassle of installing or maintaining it. Composite tiles made of cellulosic polymers offers the look of traditional concrete and clay tiles without the heavyweight and installation challenges. The advanced composite material will give a guaranteed long-term performance, adding unmatched value to the home. These tiles are engineered to be one third the weight of most traditional concrete tiles, meaning they can be installed on existing homes and buildings without structural roof modifications. Composite roofing is more durable than traditional clay roofing products. There are less breakage and waste than traditional roof tiles. Most composite roofing products are 100% recyclable at the end of their lifetime. Composite roofing products perform well under high UV light and low temperatures. They can withstand a wide range of weather from sub-zero temperatures to relentless heat and sun exposure. Some of the other areas in which the green composites used are False ceilings, Partition purposes, Doors, Furniture (Figure 8 & 9), Boxes for agriculture purposes, optical frames etc. Production and preparation of natural fibre are time and labour consuming. Weak bonding of natural fibres to polymers resins. High variability in the properties of composites produced from natural fibre. The requirement of a large area for cultivation. Recent developments in both resins and high strength cellulosic fibres have been significant and should allow the development of high strength advanced green composites with significantly better mechanical properties. Many other properties such as physical and thermal properties as well as specific properties such as fire retardancy, vibration damping, impact strength, antimicrobial, gas barrier, water resistance, etc., can also be improved at the same time to widen the application range of green composites. Unlike the currently advanced composites which end up mostly in landfills at the end of their life and make that land unusable for several decades, green composites are fully biodegradable, sustainable and can be composted after their useful life. One should find applications of these composites from sportswear to auto parts and from electronics to primary structural parts for housing. Although significant additional research is needed in this area, it is clear that advanced green composites will one day replace today’s advanced composites made using petroleum-based fibres and resins in many applications. Interest in biodegradable materials has developed as a consequence of increasing social awareness of environmental degradation. Consumers are persuaded that they can help protect the environment by selecting more environmentally-friendly products. Green materials are the wave of the future. There is an immense opportunity in developing new bio-based products, but the real challenge is to design sustainable bio-based products. New environmental regulations and social concern have triggered the search for new products and processes that are compatible with the environment. The major limitations of present biodegradable polymers are their high cost. Though renewable resource–basresource-based are currently being developed, further research should overcome the performance limitations, and aim at reducing the cost of Bio resin. Recently, eco-friendly green composites, which may replace conventional manmade fiber-reinforced plastics, have been increasingly considered as promising materials due to their many advantages, like using a natural resource, environmental friendliness, sustainability, lightness, carbon dioxide reduction in nature, etc. Their unique balance of properties would open up new market development opportunities for bio-composites in the twenty-first–century’s, green materials world.